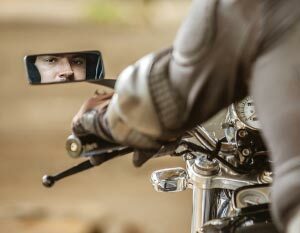 As many of you know our Pennsylvania motorcycle accident law firm has focused its practice on handling motorcycle accident cases for well over twenty years. Although we strive to take cases where the liability is clear, there are certain cases where, although the liability may be clear to us, liability is not clear to the insurance company. 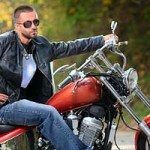 As a result, we are often forced to file a motorcycle accident lawsuit against the at fault vehicle. We do this primarily for two reasons; 1) because the offer the insurance company is making is too low based upon their version of liability and/or 2) an out right denial of liability. Depending on the facts, we then retain an expert at motorcycle accident reconstruction, called a reconstructionist, to help us put together a report which lays out, in their expert opinion, how the motorcycle accident occurred, and who was at fault. I recently resolved a motorcycle accident claim in Pennsylvania wherein my client was riding home from work in central PA and was taking a route that he has taken every day. Although he knew the road had curves in it, as he came around a right-sided curve and continued to travel within the speed limit, a vehicle pulled out of a driveway directly in front of him, causing him to apply his brakes and swerve in order to avoid a direct t-bone with the car. The other driver, who had lived in this home for many years and was well aware of the curvature of the road, pulled directly from her driveway into my client’s path of travel, causing the accident to occur. As a result, my client suffered permanent loss of smell and taste along with a broken shoulder and wrist, both of which required surgery. Although the defendant’s insurance carrier reimbursed my client for the damages to his motorcycle, when I, as his motorcycle injury lawyer, made a demand for his injuries, it became very clear with the first offer that the insurance company was not taking our demand seriously. Suit was filed and we retained a reconstructionist to begin a motorcycle accident reconstruction and began the process of putting together a report that could be used to support our client’s version of how the motorcycle injury accident happened. Upon being hired, our motorcycle accident reconstruction expert and his team went to the scene of the accident where they surveyed the site, took video and still photographs and conducted interviews with all of the witnesses including the ambulance staff, who are good sources of information, as they are usually the first on the scene. However, there are two sides to the story; once defense counsel became aware that we had hired an expert in motorcycle accident reconstruction, they went out and hired their own reconstructionist to put together a report in an attempt to discredit our experts report. It so happened that both experts knew each other, which is not uncommon in this field. Long story short, regardless of the facts, once we were scheduled for trial and after a series of motorcycle accident settlement conferences, which included the Judge who would be trying the case, the case ultimately settled for an amount everyone was pleased with. It is not often that we are required to hire a motorcycle accident reconstructionist. 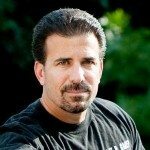 However, when and if this situation arises, it is extremely important that the attorney you have retained has not only has experience handling motorcycle accidents, but also knows exactly where to look to find an experienced motorcycle expert. The attorney must hire a reconstructionist that is able to deliver a report that not only supports their clients position, but the expert must also have the requisite skill to explain his findings to a Jury, if the matter goes that far, and be able to do so in a manner that the jury can understand and appreciate. If you have questions regarding this topic or any other motorcycle accident topic, please feel free to contact Pennsylvania motorcycle lawyer Lee D. Gaber, Esquire, at 888-292-5352 (888-CYCLE-LAW).